While tooth loss can occur at any age, replacing one in a younger patient requires a different approach than for someone older. It’s actually better to hold off on a permanent restoration like a dental implant if the person is still in their teens. This is because a teenager’s jaws won’t finish developing until after nineteen or in their early twenties. An implant set in the jawbone before then could end up out of alignment, making it appear out of place — and it also may not function properly. A temporary replacement improves form and function for now and leaves the door open for a permanent solution later. The two most common choices for teens are a removable partial denture (RPD) or a bonded fixed bridge. RPDs consist of a plastic gum-colored base with an attached prosthetic (false) tooth matching the missing tooth’s type, shape and jaw position. Most dentists recommend an acrylic base for teens for its durability (although they should still be careful biting into something hard). The fixed bridge option is not similar to one used commonly with adult teeth, as the adult version requires permanent alteration of the teeth on either side of the missing tooth to support the bridge. The version for teens, known as a “bonded” or “Maryland bridge,” uses tiny tabs of dental material bonded to the back of the false tooth with the extended portion then bonded to the back of the adjacent supporting teeth. While bonded bridges don’t permanently alter healthy teeth, they also can’t withstand the same level of biting forces as a traditional bridge used for adults. The big drawback is if the bonding breaks free a new bonded bridge will likely be necessary with additional cost for the replacement. The bridge option generally costs more than an RPD, but buys the most time and is most comfortable before installing a permanent restoration. Depending on your teen’s age and your financial ability, you may find it the most ideal — though not every teen is a good candidate. That will depend on how their bite, teeth-grinding habits or the health of surrounding gums might impact the bridge’s stability and durability. A complete dental exam, then, is the first step toward determining which options are feasible. From there we can discuss the best choice that matches your teen’s long-term health, as well as your finances. If you would like more information on tooth replacement solutions for younger patients, please contact us or schedule an appointment for a consultation. In an ideal situation, you would transition from a missing tooth to a permanent replacement with as little time in between as possible. Unfortunately, reality can intrude on the best of intentions. 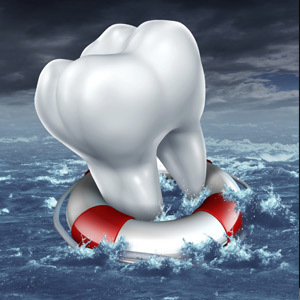 For example, dental implants are one of the best ways to regain the form and function of a lost tooth. They are, however, initially expensive, especially if you’re replacing multiple teeth. Your financial ability may force you to wait — which means you need a solution now, if only temporarily. Fortunately, a removable partial denture (RPD) could be the temporary solution you’re looking for. There are various kinds and all quite affordable; one of the more versatile is a flexible version made of a form of nylon. Due to its thermoplasticity, the nylon is quite pliable when heated and can be easily molded into a denture base with attaching prosthetic teeth. They’re comfortable to wear and attach to the remaining teeth at the gum line with flexible, finger-like clasps. Â RPDs are designed as a transitional replacement between tooth loss and a permanent restoration such as implants, bridges or permanent dentures. Their light weight, comfort and affordability also make them tempting to consider as a permanent replacement. They do, however, have some drawbacks that make them less desirable for long-term use. They weren’t designed for relining or repair, so such efforts can be difficult. The clasp holding them in place may also trap food and bacteria that increase the risk of dental disease to the gums and remaining teeth. You can minimize some of these weaknesses by properly cleaning and maintaining the RPD, and taking them out at night to inhibit the growth of bacteria while you sleep. Mainly, though, you should primarily consider a RPD as a temporary bridge between lost teeth and a permanent restoration. To that end, we’ll work with you to develop a treatment and finance plan that will help you achieve a more permanent and satisfying restoration.